We’ve all heard of Rube Goldberg machines, the over-complicated contraptions made famous by Looney Tunes cartoons. But the fine folks at the Beneful dog food company have taken it one step further: the Dog Goldberg machine! Normally when a company makes a shameless play for viral video fame, it’s pretty transparent and desperate. 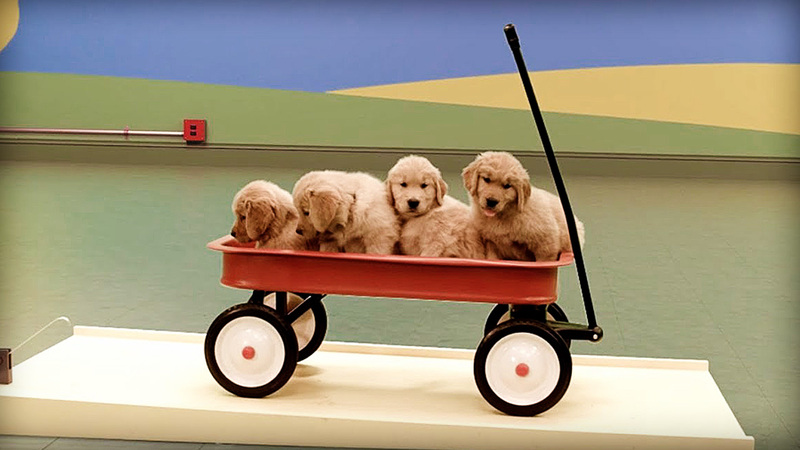 This one, however, manages to combine three things the Internet loves: complexity, cleverness, and puppies in a little red wagon… Now that is beyond adorable. This entry was posted in Video, Viral and tagged animals, Beneful, Dog, Dog Goldberg Machine, dogs, Rube Goldberg machine, Viral, viral videos. Bookmark the permalink.